We’re a professional Mold Manufacturer China, established in 2004, we have been striving to study, develop, plastic mold and plastic machinery industrial. Up to now, we have around 150 skilled workers, 40 engineers. In the mold designing course, some 2D or 3D software (such as AutoCAD, SolidWorks, Pro-E and so on) applied for assisting in designing, pre-making etc. Before mold is put into physical making, the MoldFlow software will be adopted to analyze such course to make sure if it is rational and workable. In the making course, there is a set of making method< system design, individual making, concentrate assembling, scientific managing> to help us improving plastic mold quantity and service life. Up to now, we have created some plastic molds whose cycle time are over 3,000,000 shorts..
Our machine and plastic molds have been sold to U.S.A. Canada, German, Italy , Lithuanian, Malaysia , Iran, Indonesia , Africa and so on. Meanwhile, we have established good business cooperation with many overseas companies. Look into the future, we will be at the principle of scientific designing, wonderful making technical, accurately assembling’ to continuously improve our mold structure, machine technical, mold material and hot process technical and so on. Making the best products, achieve the best benefit for our client’ is our top aim. 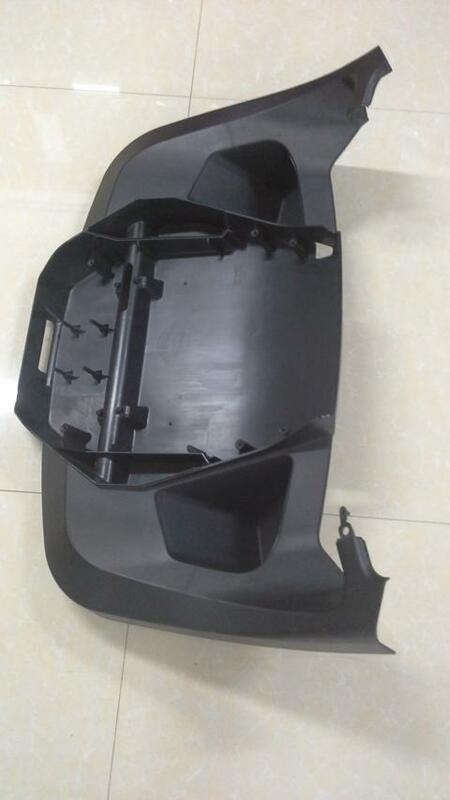 Our company supply design and manufacturing of plastic injection mold, die casting mold, plastic molding service We also could provide OEM service for clients. We supply design and manufacture of various plastic molds for you, Such as bottle blow mold, closure mold, preform mold,etc. Our company not only supply the molds and machine, also provide whole production line for you. Our company adopts CAD/CAM/CAE system to ensure effective control, evaluate and machining of product design in the whole process of mold development. Our company adopt soft of MOLDFLOW to do injection simulate flow analyzing , educe the optimum project reduce the unplanned of design, greatly shorten manufacture cycle of mold design. CAD 3D Our company uses 3D software to design products and separate mold structure, establish and transfer relevant accessory, form the total picture, and separate the accessory according to the conditions of machining. 1. Complete project management handled by designated engineers. 2. Tool specifications completed in conjunction with customer requirements. 3. Moldflow available if required. 4. Tool GA Drawings provided for customer review and approval. 5. Manufacturing schedules provided regularly with digital photographs to show tool progress. 1. Design – All tool design is done using 3D CAD design tools, mainly Unigraphics and Pro-Engineer. We can receive IGES, STEP, CATIA drawing files. 2. Specifying the tool – Tool specifications are agreed with the customer from the outset of the project. 3. Requirements – Press size, runners, gate position etc. Customer requirements are recorded and detailed to the designer before design begins. 4. Confirmation – The initial mold GA drawing is emailed to the customer in the first 7 days. A meeting is held to discuss general construction. The final GA is sent to the customer within 7 days for final approval. 6. Fittings – Thread sizes, water fittings, hydraulics and hot runners could be supplied with the tools according to client’s requirements. Runner systems from Synventive, Moldmaster, Hasco, DME and YUDO (or Customer’s preferred system). 1. All tools are trialled and approved to customer requirements before shipment. 2. Samples produced in customer specified material. 3. If the customer is not present at the T1 trial, samples are sent via Air Courier to the customers site (3-5days). 1) Pre-delivery Inspection Check List. 2) Tool Trial Check List. 4) Steel Certificate of Conformity. We hope establish a long term relationship with your company. Be strict with your requirements, assure quality, delivery on time with reasonable price.